Gundam AGE - Proof Flit is EVIL ~ Piercing the Plastics! 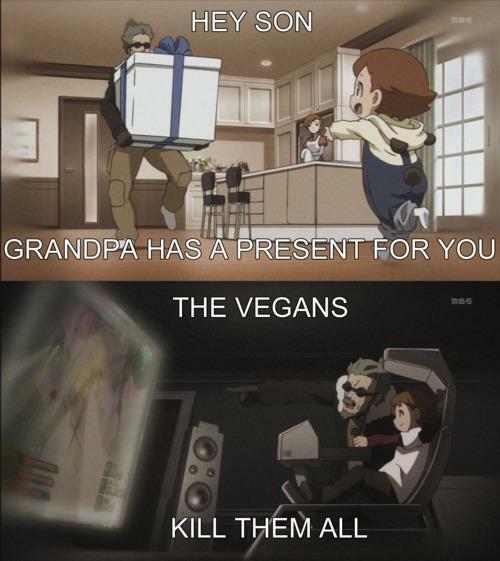 A picture to show how twisted the first main protagonist of Gundam AGE really is. He pretends he is giving his grandson, Kio, a video game, and yet it is actually a way of indoctrinating Kio. If this doesn't make you watch Gundam Age, I dont know what will.